America’s worst nightmare has just become a brutal reality. The most unlikely terrorist enemy of all now holds a knife against the country’s throat. With both diplomatic and conventional military options swept from the table, the president calls upon Navy SEAL turned Secret Service agent Scot Harvath to disable a brilliantly orchestrated conspiracy intended to bring the United States to its knees. 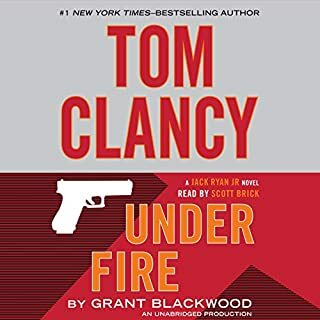 Teamed with beautiful Russian Intelligence agent Alexandra Ivanova and a highly trained CIA paramilitary detachment, Harvath embarks on an adrenaline-fueled search that spans the world - and leads to a final, deadly showdown on American soil, with a lethal and sinister enemy from the past. Take another thrill ride with Scot Harvath. The “State Of The Union” was as thrilling as promised in the summary. If you enjoy action, “edge of your seat” suspense you won’t be disappointed! I began this book at bedtime and had to force myself, after 2 l/2 hours of listening, to turn it off. My attention was captured in the first hour. There were more than a half dozens enthralling parts in the book including torture, under water action, and ticking bombs. One thing that put it over the top for me was there wasn’t just one hero that saved millions of lives, there were several which lended the book more plausibility. After listening to this book, I will be even more patient with our airport security! As always, George Gudell’s narration was stellar! Loray. Narrator makes such a difference! George Guidall has sinched it as my favorite narrator for these books! Thanks for taking him on! He makes these characters come alive! and makes the books even that more enjoyable! What did you love best about State of the Union? Love is a big word. I enjoyed the majority of State of the Union. 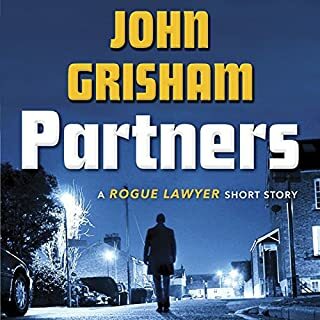 The plot was interesting, character development for the key players was done effectively, and the overall pace was perfect for a book in this particular genre. This is the 1st book of Brad Thor's that I have listened to, but it is the 3rd I have either read or listened to. 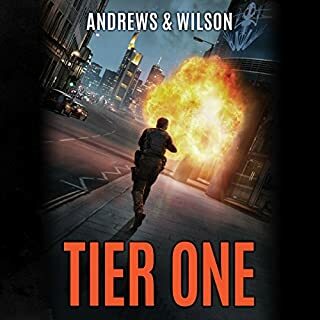 I really enjoy reading this genre of super soldier, super spy, or action hero (if you will) steps up takes charge and gets the job done despite the odds or sometimes the mysterious ways fate lets the impossible be possible. Thor does a great job of pushing the boundaries of the believable with the over-the-top action. I really don't remember thinking, "what the ..." "how they do that" as I was listening to this particular story. What other book might you compare State of the Union to and why? State of the Union is like most action adventure thrillers books. Brad Thor is like Vince Flynn and the late and great Tom Clancy in where they take a particular person and develop the character into an all American hero who will go above and beyond to protect America and her citizens. You can look at Harvath (Thor), Rapp (Flynn), Ryan Sr/Jr (Clancy) and seeing the similarities and differences very clearly but they all have the central theme of putting America's best interest over their own lives and in some cases the lives of multiple people because killing 100 can still save millions no matter how you do the math. A speech could turn America's future back 200 years or make America unlivable for thousands. 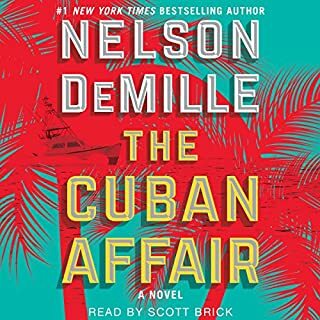 This is the second series of audio books I have listened to in which George Guidall was the narrator. I really enjoy his voice control, pace of speech, and the inflections he is able to do to make each character's voice different. I look forward to continuing to listen/read this series of books by Thor and cross my finger Guidall continues to narrate these books. The story was good and the narration was great (love George). If you like rockem socken adventure you will like this book. Would you try another book from Brad Thor and/or George Guidall? Yes. George Guidall is a terrific narrator for espionage novels. You can always tell who the "hard ace" is because he quickens his pace whenever that person is speaking. I love it. This was my first Brad Thor novel and it is very similar to other authors I follow in this genre. Would you recommend State of the Union to your friends? Why or why not? I think it's a good story, and well executed. But I walked away from this a little flat. Obviously this is a series - and the story of the characters has not ended. I started listening to this series in order and I expect the narrator to be the same throughout. 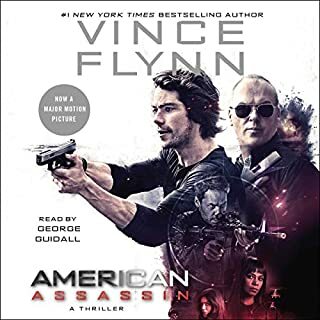 While I understand why this narrator was chosen (his pronunciation of German and Russian was excellent), I think his voice would be better suited for something with less action and intrigue. 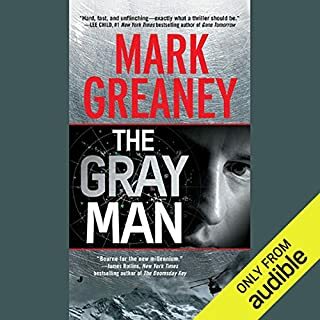 The younger and more grizzled voice of the pervious narrator better suited the characters and stories in this series - I look forward to his return in a couple more books. 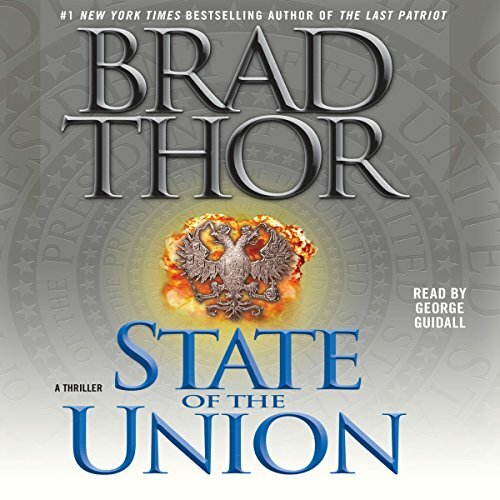 Where does State of the Union rank among all the audiobooks you’ve listened to so far? One of the best. This series just gets better and George Guidall was the perfect choice as a narrater. story line very good but narration too quick. the book itself was very good even though some of the story lists were obvious/anticipated. the narrator's dialogue for the characters was spoken way too quickly. I don't like how this book has a different narrator than the other books. really throws off the story since I'm used to hearing everyone talk and sound a certain way. The story is good and the characters are pretty well developed. George Guidall was amazing -- as always. His ability to help the listener distinguis characters with voices and inflections without sounding cheesy is impressive.